The sweet Cara Dragons are little, tiny Dragons who are no longer than a foot. They are both aquatic and land Dragons who could hold their breath for hours underwater. Carmine Dragon©s are the hybrid offspring of a Green & Red Western Dragon. They are Faery creatures who manifest as black cats with a white breast. They are the spirits of Faery witches who have passed and contain a duality of dark and light magic... hence their manifestation appearance. They are electric energies that can cause static in the phone, television, radio, computer... can cause lights to flicker and electric appliances to be disturbed when they are active. They are a very powerful source of magic that can be used at your discretion. Once loyal to a Keeper they are bound for life. With the body of a buffalo, head of hog and scales covering their back for protection they can be a very intimidating presence. Their heads are constantly down and walk with a sluggish pace. Their stare and breath turns humans to stone. Though they are not as malicious as other dark entities they were still a force to be reckoned with when they were alive. As spirits they are fantastic for helping their Keeper with their focus and obtaining a goal or desire. They are capable of stopping events from happening and often do when it is in their Keeper's best interest. Ceasg are the Merfolk known on the coasts of Scotland; though they did have colonies worldwide. The most sociable of their race are the female Ceasg who are attracted to human males and their offspring are known to be great sailors. The male Ceasg are less likely to appear to humans, but they are just as charming when they do. When a Ceasg was captured they would grant three wishes, after the wishes are granted they disappeared. 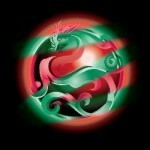 Celadone Dragon©s are the hybrid offspring of a Copper & Green Western Dragon. They are a race of half-human, half-horse, also known as "hippocentaur". 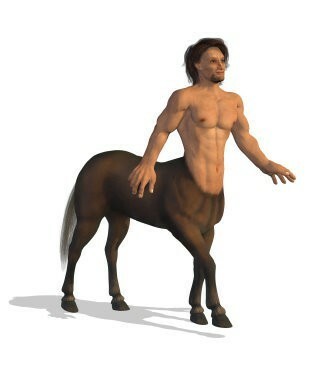 Female Centaurs are commonly known as Kentaurides, though in recent times Centaur denotes male or female of the species. They are warriors, guardian, swift & agile, and quick to act. They are known for being seductive & alluring, full of sensual power & influence, and are also known for being fearless, courageous, risk-takers who are highly skilled & adept in combat. They are guardians by nature, territorial, and loyal. They are also highly sensuous in energy, for those who do not like spontaneous arousal, or feelings of sexual desire, they would not make a good companion. They are known as the hounds of Hades with three heads and the tail of a snake. Their breath is a foul stench and their aggressive nature is unmistakable as the energy surrounding their spirit is fierce with vibrating, intense energy. 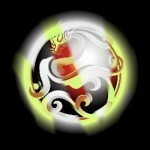 They can be a true guide in fighting off evil and are impeccable in sensing and warning their Keeper of evil. They can be a handful without the secret! Dark Arts Dragons who had a small body, with wings significantly larger in proportion. 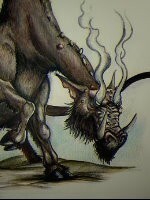 Their bodies were hard-scaled, spiny, with large horns on their heads. They could spit a hot, paralytic venom that would render the target incapable of movement. They were sharp predators, and when alive, luckily only hunted once every few months, as their digestive system is extremely efficient. They preferred mountainous regions, and could be found worldwide. They are very interactive with their Keeper, they like to talk, be a strategist, plan, and organize. They are great for people who have need of organization & direction in their life. Champagne Dragon©s are the hybrid offspring of a Copper & White Western Dragon. Changelings are the people who were stolen as babies and taken by another race of beings to be raised. Sometimes there would be the child of the thieving race left in the home because the infant was sickly or unwell, and they would steal a healthy child. In other cases all that was left was a simple, carved, wooden doll in place of the stolen child. The stories of Changelings transcends all cultures and locations around the globe. It could be an Elf baby stolen by Fae, or a human baby stolen by Dwarves, or a Faery baby stolen by Trolls. The children were often stolen for a number of reasons; for companionship, because the thief could not have children of their own, because their own child was sick and they wanted a healthy child, or because they knew the baby was going to grow into a race of being that had some benefit for them. Changelings are extraordinary spirit companions because of their unique situations and their unique experiences. It is the plural word for cherub. They are creatures whose shape is unlike any man has ever seen. For familiarity they are often portrayed as a child with wings or a child's head with wings. They are servants of God and their depiction is on the Ark of the Covenant. The Chimera has a tail with a snake's head, and the head of a goat from the spine of a lioness's body. They are focused, intimidating, and often used for blocking those who are of warrior status as recorded in multiple ancient texts. They can be territorial, intensely loyal to their Keeper-only, and like to be in the presence of dark magick, spells and spirits. Chinese Attendant Dragons provide companionship and friendship to their Keeper. They provide you a feeling of comfort and friendship... you will not feel alone and they are open ears willing and wanting to listen to you talk... about your day, your life, your dreams, your hopes, your thoughts... and they love to talk! They look like a normal fox and they have a life span of 800-1000 years. They are cunning, incredibly wise and deeply sought after. The fox possesses magical powers. Its tail when struck on the ground can start fires, it has the power of foresight and is a polymorphic being. It can transform itself into a human and can mimic any human's appearance. They can be found in graveyards and the souls of the dead can transmigrate through the body of the fox. 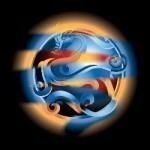 Chinese Guardian Dragons provide protection and guardianship for their Keeper. They are on constant guard... they are in constant and everlasting mode of keeping you safe. Any ill will, curses, hexes or malice will be distanced from you as your Dragon Guard will buffer all bad things away from you. 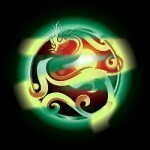 The Chinese Seeker Dragon is constantly on the hunt to fulfill their Keeper's desires and destiny path. They attract opportunities and good luck allowing your desires to come to fruition! Chinese Teacher Dragons have an affinity for their Keepers and through that bond provide their Keepers a rite to Ancient times. They open pathways for their Keeper to be able to have intrinsic knowledge of ancient past... including rituals, ceremonies, events, etc. They also open the greater channels of magic and necromancy allowing their Keeper to perform more powerful and significant acts of magic, sorcery, spell work. Wiry creatures with an endless energy. They have a row of spines from head to tail and are the size of a small bear. 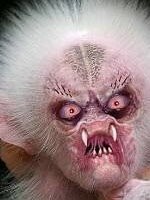 They are a fearsome sight with sharp, pointed teeth and long fangs, bald, bony heads. They can frighten even the most strong human. They are creatures who bring little other than supportive energy of magnitude. They are known to ward off and warn their Keeper of evil. Cobalt Dragons are the hybrid offspring of a Blue & Bronze Western Dragon.